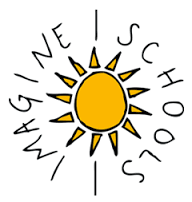 Imagine Madison Avenue School of Arts is a school wide Title funded school. This means we receive federal grants to assist with local funding to educate our students. Because we are school wide, all students and families who attend our school can receive services and benefit from these grants. We do appreciate suggestions on these expenditures and any feedback on how we can add quality academic interventions to help our student population reach our goals. The grants cover a wide range of areas in which they can be used and the monetary value is based on our student enrollment. This funding does not cover all expenses but is in addition to local funds. These also cannot be used to supplant any programs we already have that are being funded locally. TITLE I: These funds can be used for Instructional Salaries, Support Staff, Family and Community Development. TITLE IIA: These funds can be used for Teacher Development. IDEA: By law, this money may be used for the education of students with disabilities ages 3-21. The amount of funding is determined by the qualifying students in special education. This funding does not cover the expenses for all special education services, but significantly decreases the need for expenditures from the local funds. Any suggestions can be sent to the principal at Imagine Madison Avenue School of Arts, or by calling (419) 259-4000. We thank you for all your support.